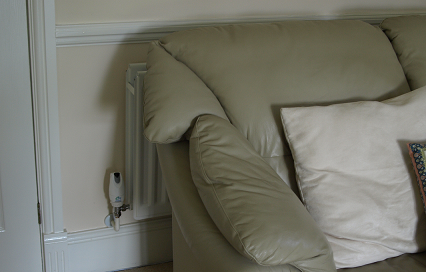 The award winning eTRV+ radiator valve is helping to improve comfort and save energy in a care home on the South Coast. Chalmor were approached to see if assistance could be offered to a care home on the south coast of England. The request was to improve comfort for the residents, as the current manual heating system was forcing them to open windows to control the uncomfortable overheated environment they were living in. The care home is a family owned, long established care home providing 24 hour residential care for over one hundred and fifty residents. The care home ethos is to provide a caring, comfortable and safe environment for residents, whilst also being sensitive to running an energy efficient home. Manually controlled radiators have been upgraded to take TRV valves, due to budgets these works were to be completed in phases. The initial phase of twenty-two radiators proved to be a success and the findings offered encouragement to use eTRV+ across all phases of the care home heating upgrade works. The installation of eTRV+ in phase one has improved comfort and reduced energy consumption at the same time allowing for the next phase of works to be able to take place. Thirty eight eTRV’s were installed as part of phase two. A final phase of sixty-eight eTRV’s are planned in the near future.